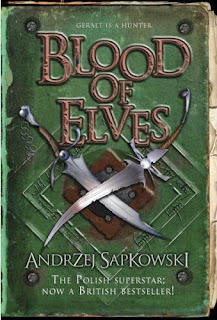 Blood of Elves is the second Witcher volume released in English. The Witcher series is unbelievable popular in Poland, where it is one of the best-selling series of all time in addition to being a very popular PC game around the world. The first English release The Last Wish was a good action packed glimpse of the world and of the lead character Geralt the Witcher, although very different in format from Blood of Elves. I enjoyed The Last Wish a lot so my expectations of this were high, however I was a bit disappointed to find that the book centered on a female ward of Geralt instead of the Witcher himself. The best aspects of The Last Wish were the fight scenes with the various creatures the Witcher tackled along with the associated mythology. Other than one scene this volume is lacking in that respect. The book opens well with a nice scene with Dandillion the bard and sometimes rogue who accompanied Geralt a little in The Last Wish. Dandillion is a bit short changed in the book though, but that could just be because he is my favorite character next to Geralt. However, most of the book is focused on the training and education of Ciri as the Witcher takes her to the home of the other Witchers where he intends to train her in their way. The time spent there is interesting as you get to learn a lot about the histories of the Witchers and why there are so few left now. Ciri's training doesn't work out as Geralt hoped and she is taken to the school for Wizards. No one in their world has ever received training from both schools prior and we learn Ciri has a great destiny to either be a great cause for hope or despair. This had me hooked to some extent as I was hoping to catch a glimpse of what Ciri could do in the future, but Sapkowski mostly leaves you in the dark. Ciri and the Witcher are being hunted as different groups want Ciri for themselves including a mysterious empire from the south. Yennefer one of the most powerful Wizards and sometimes lover of Geralt from The Last Wish steps in to train and care for Ciri. We learn about their system of magic which was very detailed, but the book ends abruptly to the point where I thought the publisher left out a chapter. Apparently this is just the start of a 5 book saga so perhaps it is setting things up on a grand scale. Sapkowski does a great job of developing Ciri and Yennefer and gives a lot more insight into their world and history so I am hoping for the best. The Witcher is still a very mysterious character and leaves you wanting for more of him. A well written and translated book it loses some of the appeal of the first book The Last Wish, but it is still a worthy read I only wish Orbit would release them closer together. I give Blood of Elves 7 out of 10 hats. That said I'll stick in there for the next volume Times of Contempt to see if all this built up was worth it. 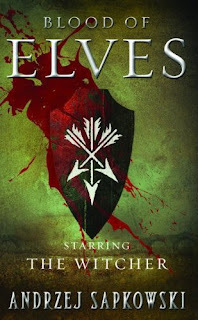 I also learned that there is a second book of short stories that follows the same format of The Last Wish still to be published in addition to many volumes that follow-up on the story line from Blood of Elves. I'd definitely be up for reading another short story collection.